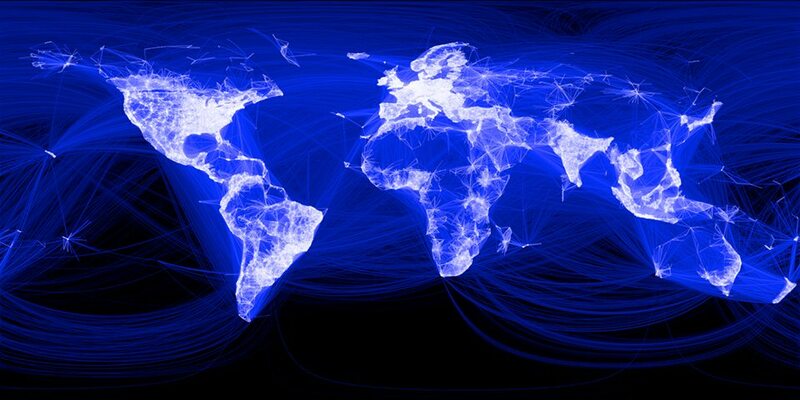 Facebook has a dream—and it’s nothing less than to saturate every inhabited corner of the Earth with the Internet. This could mean a new kind of freedom, a broadening of intellectual horizons, a shirking of the tyranny of ignorance, and all those high-minded ideals. It also means that the whole world can plug into that invisible tissue, that mental community that ought to be the heritage of all human beings, without exception. It also means billions of potential new Facebook users. The business of making this ambitious dream a reality falls to the Facebook Connectivity Lab, a division of the Internet giant that has enlisted experts from numerous fields. They’re charged with designing and building the worldwide infrastructure that will provide universal Internet access—an infrastructure that will comprise satellite technology, autonomous drones, optical lasers, and all sorts of fantastic machines that will prowl the world and zap unsuspecting cities and forrests with free wireless hotspots. The problem is—and this may come as a surprise to some—the vast majority of the Earth’s surface is entirely uninhabited. So it’s hardly a sensible and cost-effective solution to have Internet-beaming drones lurking about the snowy wastes of the Antarctic Plateau, or skulking amidst the desolate mountains of Patagonia, or harassing Polar bears on Ellesmere Island. The answer? Enlist an artificial intelligence algorithm to cull through satellite imagery, identify the visible artifacts of a human footprint, and construct a high-resolution map of population centers. Then, voilà!—dispatch your drones, armed with this map, to target those parts of the Earth (few and far between) where human beings actually live. The analytic AI was devised by Tobias Tiecke, a Facebook engineer and optical physicist, who utilized the substantial resources of the company’s artificial intelligence lab to build a program capable of recognizing the signs of human artifice. The true genius of this algorithm is its decentralized nature, which is more organic and intuitive than your basic computer program—it utilizes so-called “deep learning” to identify human populations. A word or two on deep learning: It’s a kind of artificial intelligence—or at least a big step in its general direction—that uses neural networks, combinations of hardware and software, to mimic the physiology of thought in the human brain. Deep learning gropes toward an understanding of a referent through repeated exposure to examples of it—show a deep learning AI enough pictures of the moon, for instance, and it finally catches on, and will be able to pick it out of a lineup in the future. Usually, deep learning would require human “wetware” to individually label every photo of the moon before the AI took the hint; however, in the case of Facebook’s new program, it was enough for humans merely to note whether satellite imagery betrayed any evidence, no matter how slight, of human habitation. “We just asked: ‘Is there a human artifact in this image or not?’ Binary question. Yes or no,” says Yael Maguire, engineering director at the Facebook Connectivity Lab. Using this simple method, some 8,000 satellite images of India were tagged and fed into the program. The AI was able to extrapolate this information to twenty or so other countries, scanning a total of 15.6 billion images covering 21.6 million square kilometers (13.4 million square miles) of territory. And it correctly identified human habitations with an error rate of less than 10 percent. The eventual outcome of this effort will be the compilation of a map of human density with a resolution of 5 meters (16.5 feet). And that’s nothing to sneeze at. Rather than blanketing the planet with a phenomenally expensive, and mostly unused, mesh of wireless Internet, future Facebook drones will buzz population centers, or even more sparsely populated areas, and direct their wireless beams to where they are most needed. Soon, wireless hotspots will come to you, not the other way around.